Nadia Lopez was ready to leave education a couple of years ago. The long hours and hard work that came with founding and running Mott Hall Bridges Academy in Brooklyn were taking their toll. All of her students lived below the poverty line. In order to achieve the 98% graduation rate of the school’s first three graduating classes, Lopez had to make sure her students’ basic needs were being met before real learning could even begin to take place. Lopez wanted each child to know that he or she matters, and so she checked in with every class each day and learned the names of every student. At Mott Hall Bridges, students are referred to as “scholars” and expectations are high. Lopez and her staff were committed to supporting and helping scholars succeed, but the challenges were, at times, overwhelming. Then, 13-year old Vidal Chastanet, a scholar at Mott Hall Bridges, talked with Brandon Stanton of The Humans of New York blog. That changed everything. The blog post went viral and was shared 145,000 times. Nadia was then featured in The New York Times, The Atlantic, NBC News, and other news outlets. She discusses the impact of The Humans of New York story in a compelling video. Since the blog post, Nadia’s commitment to her students and education has been renewed. She and The Humans of New York raised $1.4 million to endow a scholarship fund for graduates of Mott Hall Bridges. She has also hosted a principal forum in partnership with the U.S. Department of Education, was honored with the Black Girls Rock Change Agent Award televised on Black Entertainment Television (BET), and became a TED Fellow. 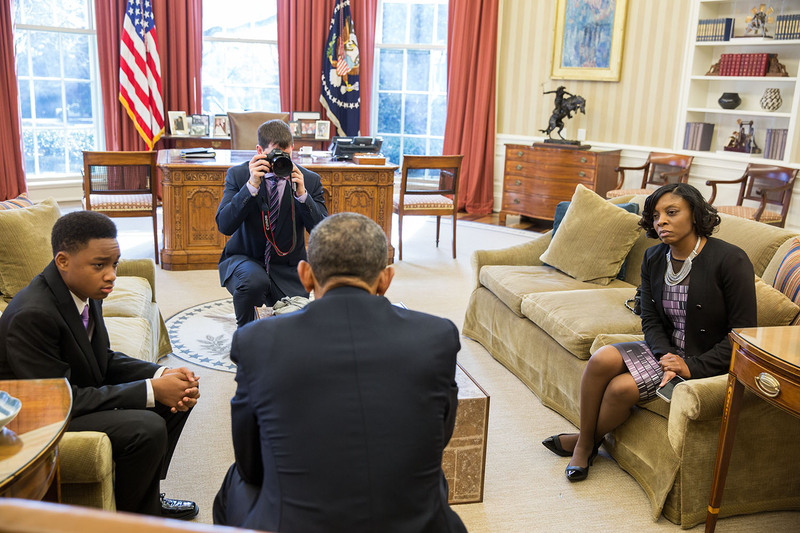 She and Vidal also met President Obama in the Oval Office. Nadia Lopez will be the closing keynote at TCEA 2017, offering her insights and inspiration to other educators. You can read her newly-released book, The Bridge to Brilliance: How One Principal in a Tough Community Is Inspiring the World, in preparation for what will be a highlight of TCEA’s annual convention.